An EasyTax is our service to allow you to make concrete inquiry without being subscribed to any annual plan. The answer you'll get is understandable whatever your level of knowledge in taxes and without renouncing its legal precision. Ask the question in your own words and in about 10 minutes will have your answer. You can use the answers as a guide to your tax advisor or to the Tax Agency, although the binding mature does not depend on us. You can purchase a maximum of 5 EasyTaxes. Once you have consumed them, you may buy more. What is the difference between the annual subscription and EasyTax? The annual subscription is our service to resolve a volume of queries every month, depending on the subscription plan you have contracted. In contrast, EasyTax allows you to resolve specific queries at any time regardless of whether you have a contracted plan or not. Can I buy EasyTax without being subscribed to a plan? Of course. Any user can contract The EasyTax, whether they have a contracted subscription or not. You only need an e-mail address to identify yourself. What happens if I don’t use up my queries in my query plan? For the sake of quality and speed, the number of monthly queries that are contracted in a 'Subscription Plan' expire every month. The service does not allow you to accumulate unused queries to following months. The price is intended to balance the number of queries and quality of responses; this does not allow the restoration for its lack of full or partial use. In case your volume query has increased continuously you can extend your subscription plan. If you need more consultations occasionally you can use the EasyTax. What happens if I don’t use up my EasyTax consultations? The EasyTax questions available for purchase do not expire. They will always be available in your user area. What language I can make my queries? Supported languages for consultations are the same in that you can read the contents of our services, which are English and Spanish. Are the answers of a binding nature? They aren’t, but the answers are based on information from: the court’s judicial decisions, binding consultations and merely informative consultations of the General Directorate of Taxations, the economic and financial courts and the relevant tax legislation. All it filtered through our own experience. We issue INFORMED JUDGMENTS AND REASONED OPINIONS. There are obvious and precise answers, such as: "What is the general VAT interest rate in 2016?" But most of your questions involve interpretations that will be reasoned; hence it’s of a non-binding character. We commit to answering your queries with informed and reasoned responses. These responses will be in an understandable language even if you are not a tax expert. You can use the answers with your tax advisor and tax authorities, although we remind you of its non-binding character. The queries are answered in an average time of 10 minutes. Where I can read the answers? All the answers to your questions will be sent to your email. In addition, by accessing your user area you can view, print or generate a PDF with the answer. Is SERAPEUM Expert System reliable? Yes it is for several reasons, the most important are: Firstly, Their knowledge is based on latest information, and its answers are intelligent. The system is continuously tested, following a very strict protocol. Secondly, Responses are authorized at two levels: Account operator and Supervisor. Do I always get an answer? Yes, a response is always obtained, but in some cases you may get a question from the system to clarify a doubt or contextualize the answer, always looking for quality and a maximum service. Why is price so competitive? Our system combines the Human Factor with Artificial Intelligence. This allows us to respond quickly to queries at a minimal cost. This affects you and we can offer a very competitive price. Is my data made public? No, absolutely not. Nobody but our system and you have access to your questions and answers. Even for us you are identified with a user name, so that your personal privacy is complete. Where are my queries stored? Your questions are stored onto our servers. These are located in the European Union, therefore they are under strict Data Protection Laws. In short, they are secure servers, which means communication between your device and your user area on the server is transmitted in encrypted form. What do I need to do to ask for the invoice? It won’t be necessary to ask for the invoice. You can download the electronic invoice of any of your purchases with one click from your user area. Can I still access my history of question / answers, if I have used up my annual subscription plan and my EasyTax? Yes. In case you do not continue to use any of our plans or services you can still access your user area and view the history of questions, free for a year. This period of one year will be completely ineffective at the time of contracting any of our services. In the event that you do not renew any of our plans or services at the end of that period we will proceed to remove you as a user and delete all its historical questions. Yes, you can expand your plan. You can always move to a higher plan. You must pay the difference between plans in proportion to the time left of his original plan. In no case can you vary from one higher plan to a lower one. Yes, you decide whether to cancel or renew your plan. This voluntary option does not involve any added payment. In case you decide to use this option you can still access your user area to view their historical consultation for one year. At the end of that period if you haven’t contracted any of our services we shall proceed to remove you as a user and delete all historical consultations. Can I request the cancellation as a user? Yes, you can request the cancellation from your user area. Once you have unsubscribed as a user, all historical queries will be deleted. A Conversational Chatbot or Bot is a program that simulates a conversation with a person. Our Chatbot uses a text interface with audio conversion. Behind a Chatbot there is a knowledgeable base that allows you to interact with it. Our free Chatbot is able to solve mathematical operations, respond to various types of basic questions, tax questions, etc. 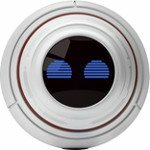 What language can I communicate with the Chatbot? To date our Chatbot is operating in English. We are working to have it available in Spanish.